How do medical professionals diagnose a pinched nerve? What are pinched nerve treatment options and home remedies? What is the prognosis for a pinched nerve? Is it possible to prevent a pinched nerve? A "pinched nerve" is the name given to the uncomfortable sensation, pain, or numbness caused when increased pressure leads to irritation or damage to a peripheral nerve. (A peripheral nerve is one that is outside the brain and spinal cord.) Although this condition is often associated with back pain or a neck injury, almost any nerve is susceptible. Anything which increases pressure around a nerve can cause a pinched nerve. Common causes include body position such as leaning on elbows, habitually crossing legs, or poor posture. Over time this may lead to pressure injury to nerves in these regions. 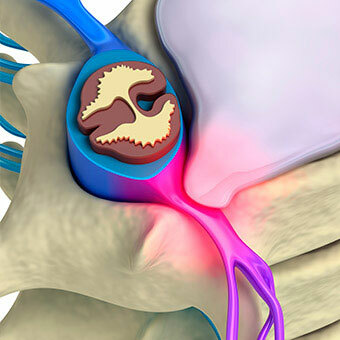 Disc herniation or bulging discs and arthritis in the spine can cause pressure on nerve roots which leads to the nerve pain or discomfort associated with a pinched nerve. 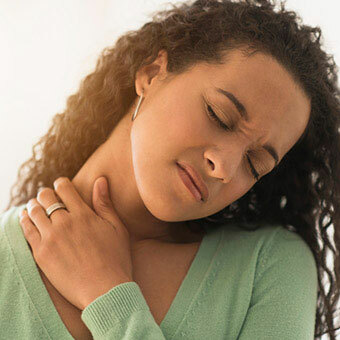 Weight gain or water retention can predispose people to developing pinched nerves; thyroid disease (especially hypothyroidism, or low thyroid hormone levels) can contribute to both water retention and weight gain and can increase the risk of certain types of pinched nerves. Pressure on a peripheral nerve can irritate the nerve itself, its protective covering (myelin sheath), or both. When this occurs, the nerve is unable to conduct sensory impulses to the brain appropriately, leading to a sense of numbness. This inflammation associated with the damage or injury can also cause pain or paresthesia (a tingling or prickling sensation) signals to be sent to the brain. In its early stages, many people may describe this sensation as a body part that has "fallen asleep." However, if nerve inflammation persists, this sensation persists rather than resolving after a few minutes. If the nerve is compressed for a short amount of time, it is often able to repair itself but it may take several weeks or months for the symptoms to fully resolve. However, if the compression remains present for a long time, permanent nerve injury may occur. The most common pinched nerve symptom is a tingling sensation, which can be accompanied by some numbness. This may initially come and go, but over time becomes persistent. Pain may accompany the tingling sensation and is often described as being "sharp" or "electrical." Some patients experience a burning sensation in the affected area. In severe cases, muscle weakness may occur because the nerve that controls the muscle has been irritated. If present and not identified and corrected, those muscles may decrease in size and function. Of note, although tennis elbow is a painful condition often associated with repetitive activities, the pain is caused by inflammation of the tendons of the elbow, not a pinched nerve. 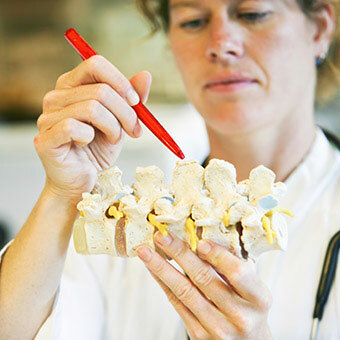 The health care professional often makes the diagnosis of pinched nerve by taking a history of symptoms and performing a careful physical examination. Depending on the findings, the diagnosis may be made clinically or further testing may be required. 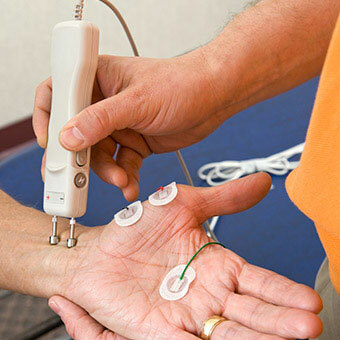 Electromyography (EMG) is a nerve conduction study to help confirm the diagnosis of a pinched nerve and to determine the extent of nerve damage. If the pinched nerve is in the neck (cervical spine) or back (lumbar spine), an MRI or CT scan may be considered to make the diagnosis and look for the cause (herniated disc, arthritis, or fracture). The treatment of a pinched nerve depends upon the location and the cause. Resting the affected area is often very effective, especially in cases of injury caused by repetitive activities. Physical therapy is frequently beneficial when a pinched spinal nerve is caused by problems in the neck or low back. Exercises may strengthen the back or core muscles and decrease or eliminate pressure on a nerve root. Over-the-counter nonsteroidal anti-inflammatory drugs like ibuprofen and naproxen may be helpful. Injections of corticosteroids (an anti-inflammatory medication) may also be beneficial for many types of pinched nerves. For cases of carpal tunnel syndrome, splinting or bracing the wrist is often used. In cases of ulnar neuropathy or common peroneal neuropathy, learning to change body positions may be required to achieve the best outcome. Weight loss can be of benefit for many types of pinched nerves. Surgery may be required to release pressure on the nerve if it fails to respond to medication, splinting, physical therapy, or injections. The specific type of surgery depends upon the nerve involved. However, the goal of the surgery is the same, to eliminate or relieve the pressure on the affected nerve. In many cases, once a pinched nerve has been identified, the symptoms can be resolved when treatment allows the nerve to recover. There are instances where the nerve damage is permanent, and a patient may be left with permanent numbness or pain in the affected area. Many patients fall in between. Because nerves can regenerate (regrow) very slowly over time, it's important to seek evaluation for symptoms which persist or recur over a number of days or weeks. Paying attention to body positions (maintaining good posture, not leaning on elbows, reducing the frequency of leg crossing) and decreasing repetitive activities can help prevent a pinched nerve. 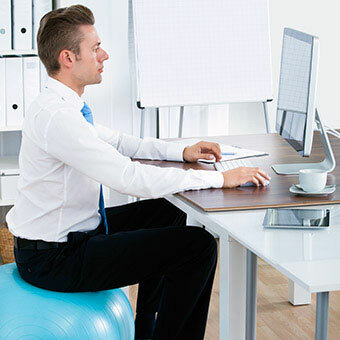 Using ergonomic principles at work and at home can decrease the risk of nerve injuries. If repetitive activities are necessary to perform a task, incorporating frequent breaks or rest periods can reduce or eliminate the risk of nerve injury. NIH. "NINDS Pinched Nerve Information Page." Vinik, A., et al. "Focal entrapment neuropathies in diabetes." Diabetes Care 27.7 (2004): 1783-1788.